We will ensure your roof is in good condition with our thorough roof inspection. Whether you’ve experienced severe weather or are planning to sell your home, a roof inspection is essential. If you need a roof inspection for your home, call us today at 1-608-921-9235 or click here to get started. We provide all our roofing services in southern Wisconsin, and throughout the surrounding area. We provide expert roof repair for storm and hail damage in Southern Wisconsin. Following a severe storm, your first roofing concern is whether or not the storm caused any leakage that might damage your home’s interior. Even if your roof does survive a hail storm without leaking, there may still be significant hail damage. That’s why the best thing you can do is call in an experienced exterior expert like Quality Exteriors, LLC to check your roof for hail damage. We will thoroughly inspect your entire roof and look for any signs of roof hail damage. 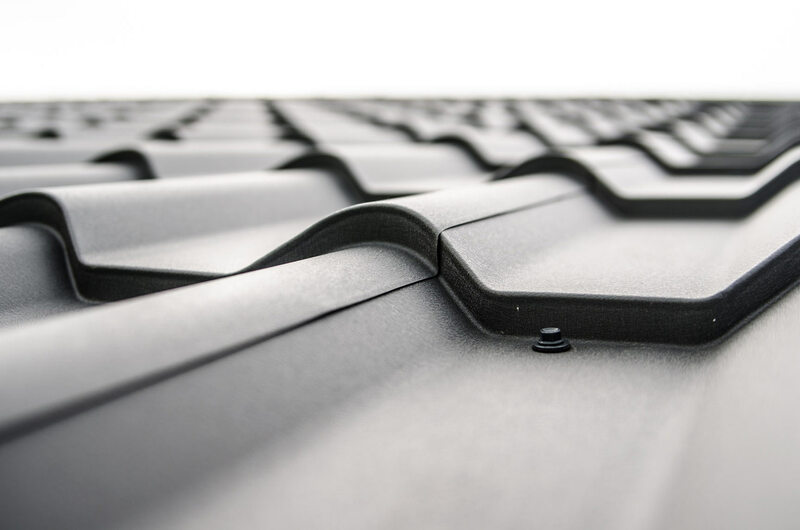 Our expert roofers have the experience to be able to help you choose the best roofing solution, whether it’s roof repair or roofing replacement. After a storm, we’re the experts to call and we’ll provide a free hail damage repair cost estimate! Quality Exteriors, LLC provides fast, effective repairs for wind, hail and other storm damage. No homeowner ever wants to experience a roofing emergency, but sometimes Mother Nature has other plans. In the event of a roofing emergency, it’s important to quickly get professional repairs in order to prevent damage to the inside of your home. At Quality Exteriors, LLC, our roofers are always ready to go at a moment’s notice with the equipment and expertise needed to quickly and effectively repair all types of roof leaks and roofing damage. Our roofing crews are well versed in all types of roofing materials and can solve any problem you may have. If you have a roof emergency or need any of our other roofing services, call us at 1-608-921-9235 or click here for a free estimate! We offer a variety of residential roofing options. The preferred choice, asphalt shingles are the most commonly used residential roofing material. After making the decision to get a roof replacement, the next challenge that homeowners face is deciding what type of roofing material they want for their home. Modern technology has continuously evolved the roofing industry and led to the development of new materials to choose from. It can be overwhelming to decide what the best option for your home is, which is why Quality Exteriors, LLC is here to help. We provide high-quality products that will give your home a beautiful and durable roof no matter what material you choose. Call us today or click here to learn more about these roofing materials and get a free roof replacement cost estimate! The beauty of wood siding with the durability of innovative engineering. Are you looking for siding with the classic, natural appearance of wood but with the low-maintenance benefits of a more durable material? Engineered wood siding manufactured by LP SmartSide is the solution. Created with treated wood fibers and resin, LP SmartSide siding provides beautiful curb appeal along with the easy maintenance of an innovative engineered wood siding product. Give your home a dramatic makeover with durable, maintenance-free siding. Quality Exteriors, LLC is an experienced contractor that installs high-quality fiber cement siding, and we can give you the perfect upgrade for your home. Our experienced professionals will help you find the perfect style for the look you want to achieve and provide you with an expert installation that will last for years to come. If you want to update your home’s exterior, siding is a good place to start. If you’re looking for a traditional appearance combined with durability, stone siding might be one of the best options. If you’re considering installing or replacing siding on your home, schedule a free in-home consultation today and let one of our experts explain the features of our stone siding products and show you samples. With a large selection of colors, we are certain that we have a siding option to complement the style of your home. Schedule your free siding installation cost estimate today! Improve your home’s appearance and energy efficiency with new windows. Open up your home with replacement windows and increase natural light and air flow in your home while adding beauty. Add comfort with high-performance replacement windows. Quality Exteriors, LLC specializes in low-e glass windows designed to keep your heated or cooled air where you want it – inside your home. This glass is compatible with any type of frame, and we’ll discuss just how much low-e glass windows can help you save! Contact us today to schedule a free window replacement cost estimate for energy-efficient windows in Southern Wisconsin and areas nearby! UPGRADE TO MODERN REPLACEMENT WINDOWS TODAY! As with the various aspects of residential roofing and siding, Quality Exteriors, LLC is well versed and experienced in the particular demands of commercial properties. Whether it is an apartment building with residents, churches with events, or businesses with consumer storefronts, we understand the complexities of undertaking commercial projects large and small. If you own or manage a commercial property and need exterior services, contact us today for a free cost estimate. We take the worries away about your commercial building’s exterior restoration.